Indonesia is a stunning country of contrasts. From misty forests to looming volcanos there's an incredible diversity of landscapes, and the people there are among the friendliest we've ever me. We spent a month travelling across Java and Bali and felt that we only just scratched the surface of this wonderful country. 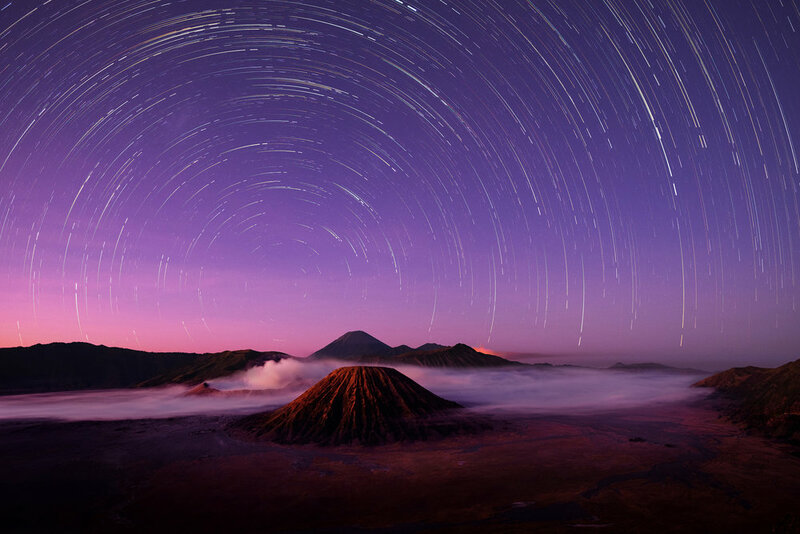 We caught the train from Jakarta to the incredible Bromo Tengger Semeru national park where we watched volcanos belching sulphuric smoke into the sky and the stars wheel overhead. We caught the ferry to Bali with its endlessly fascinating deep spirituality which dominates everyday life and spent time in the cool hills of Munduk, the crystal clear waters of Pemuteran and the bustling town of Ubud whee the cultural heritage is everywhere you look. People travel from all over Bali to bathe and sanctify themselves in the spiritual waters of Tirta Empul. According to legend, the God Indra pierced the earth to create a fountain of healing waters after the land had been poisoned. People bathe and leave offerings on top of each fountain as they work there way down the pool. It’s a wonderful place to spend a few hours in the morning. I had to put on a sarong and get into the water to get this shot. On a walk along the beach of Pemuteran in northern Bali I spotted this lone mangrove on the reef at the tide’s edge, and luckily while I was there we were blessed with a great sunset combining with high tide. 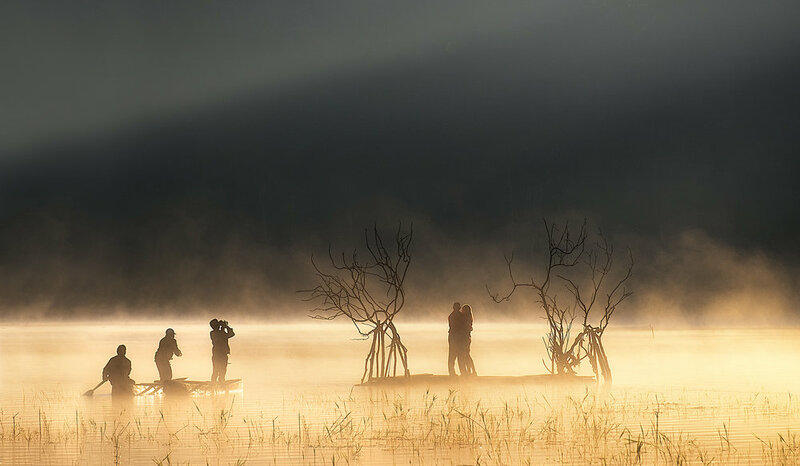 Dugout canoes at Tamblingan lake at dawn, Central Bali. The southern Bali coast at sunset. We headed to the coast to shoot one of the beaches next to Tanah Lot but the tide made it impossible to access so we walked away from the temple, crossing several beaches until I found this location to photograph. I was hoping for a more interesting sky, but at least the light was wonderful. I used Lee filters to to control the brightness of the sky and lengthen the exposure time. We visited a Balinese Legong performance at Ubud temple for a full moon performance. The skill of the dancers, and the costumes was amazing. 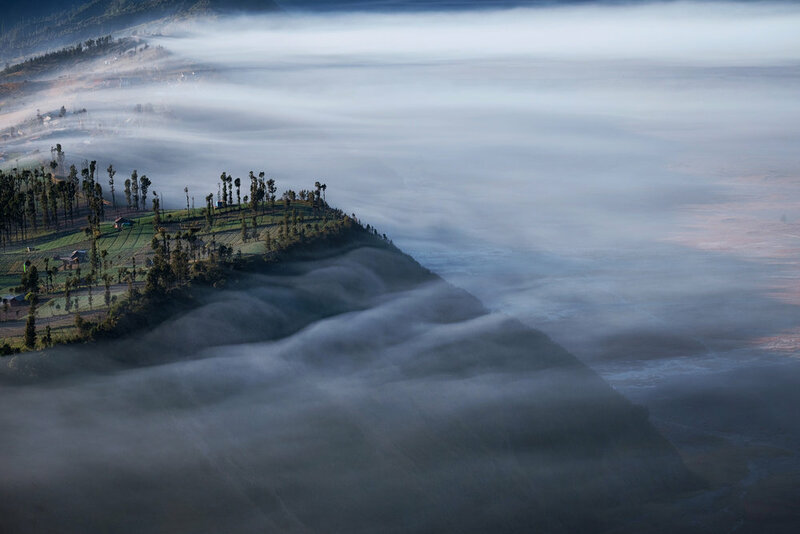 Looking east from Penanjakan on the Bromo crater as the sun rises across the volcanos of eastern Java. The small peak surrounded by cloud is the Gunung Lembongan and behind that and to the left is the 3000m Gunung Argapura. Behind that is the smoking Gunung Raung, the volcano that disrupted so many flights to and from Bali in August and September 2015. It's about 120km away from where we were standing. The incredible temple of Borobudur at sunrise. Central Java. 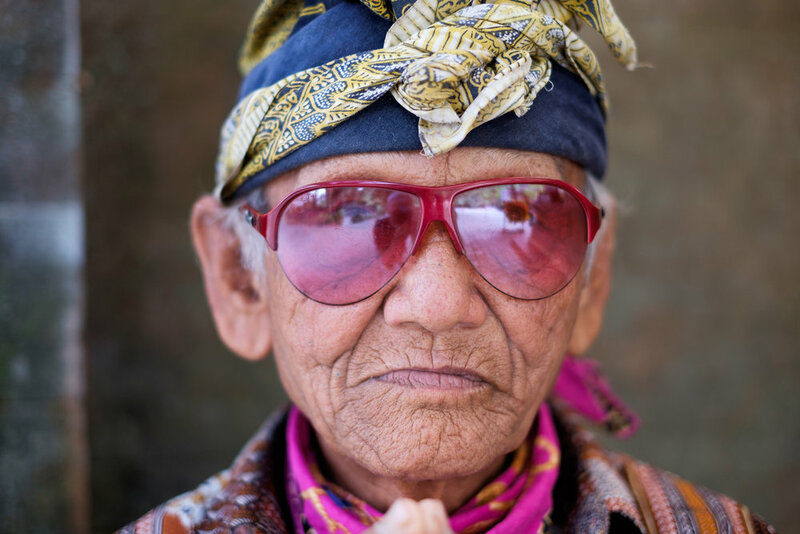 One of my favourite portraits from Indonesia, this old man was sitting at a counter where they gave people sarongs to wear inside the temple of Tirta Empul in Bali. I spotted him and his incredibly colourful clothes as I was leaving and asked if I could take his photo. While we were out walking through the fields and small villages surrounding Ubud in Bali we came across a cockfight, something which is legal in Indonesia. This is a portrait of one of the men there with his bird. A man makes shadow puppets for wayang kulit performance at the palace of Yogyakarta, Java. A balinese boy in traditional costume at a temple celebration in Ubud.